The Corex Honeycomb Team is busy preparing for exhibitions this year in the UK and Europe. 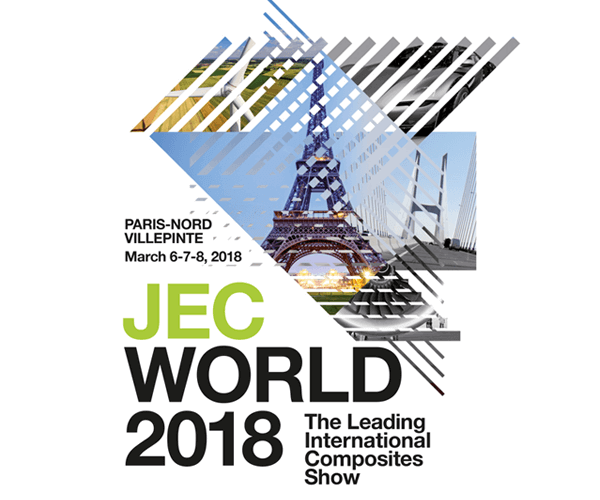 The first exhibition of the year will be JEC World 2018, which will be held at Paris Nord Villpinte, (near Charles de Gaulle Airport), a large convention centre just outside Paris. JEC World is the largest and only global platform that brings together raw materials, Machinery, intermediate processors, final processors and services like software and design. The exhibition offers composite solutions for the OEM ( Original equipment manufacturer); over 40,000 professionals are expected to visit, 52% from Europe, the remainder from Asia, Africa, the Middle East and the Americas. JEC World covers three sectors of the composites industry, business, innovation and knowledge. Come and visit us in Hall 6 on stand J76 and discuss your projects. The JEC Company was created in December 1996 as a subsidiary of CPC, The Center for Promotion of Composites, a non-profit association. Ms. Frederique Mutel, the head of JEC since its creation, fully committed to the expansion of composites, was instrumental in the establishment of JEC as provider of high value knowledge and networking services. At the same time she believed in encouraging strong international development. Under her leadership over two decades, JEC has increased sixfold in scope, network and number of employees delivering a growing service to the composites sector. Come and see our range of aluminium honeycomb and discuss your project needs. We have added a flexible aluminium honeycomb, SuperFlex to our product range. The cell geometry has been adapted so the honeycomb can bend and flex, making it suitable for applications where the surfaces are curved. SuperFlex has the same properties as our standard honeycomb and is available in the same alloy grades. We will have a range of samples on the stand that include the SuperFlex and the rest of our range, so come and take a look.